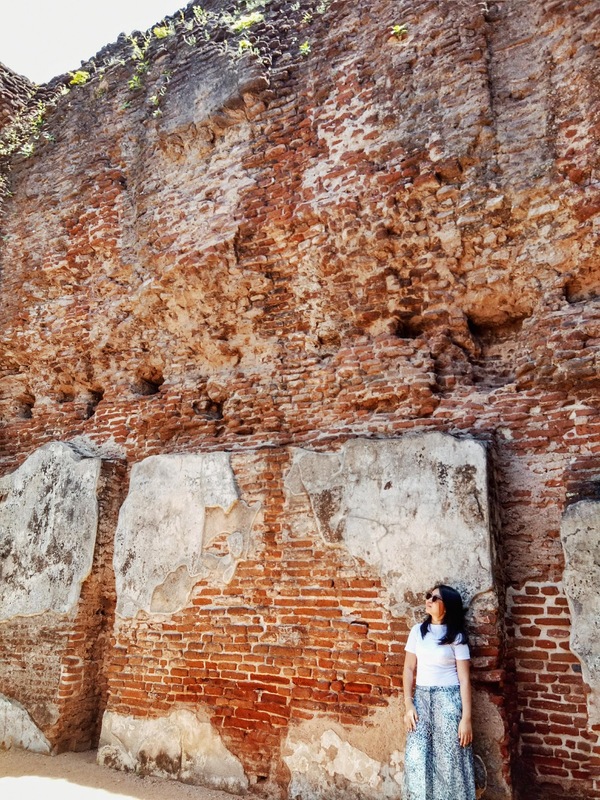 If you are not a fan of ruins or old stuff that people from centuries ago left behind, I feel you. In the Philippines, nearly all of the "old stuff" in our museums are from the bitter Spanish colonization era; I got sick of it and had grown resentment. 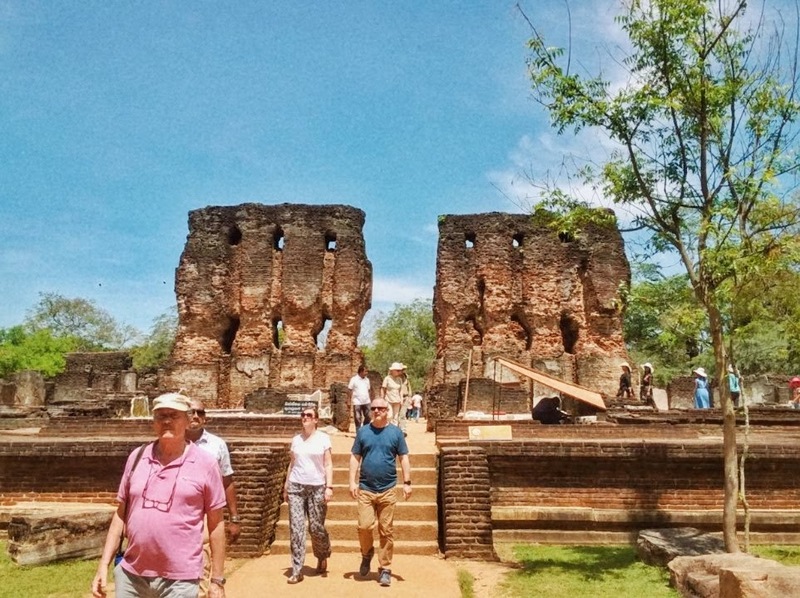 Luckily, a day before my visit to Sri Lanka's ancient kingdoms of Polonnaruwa and Anuradhapura, Sigiriya has roused my appreciation for prehistoric spectacles. 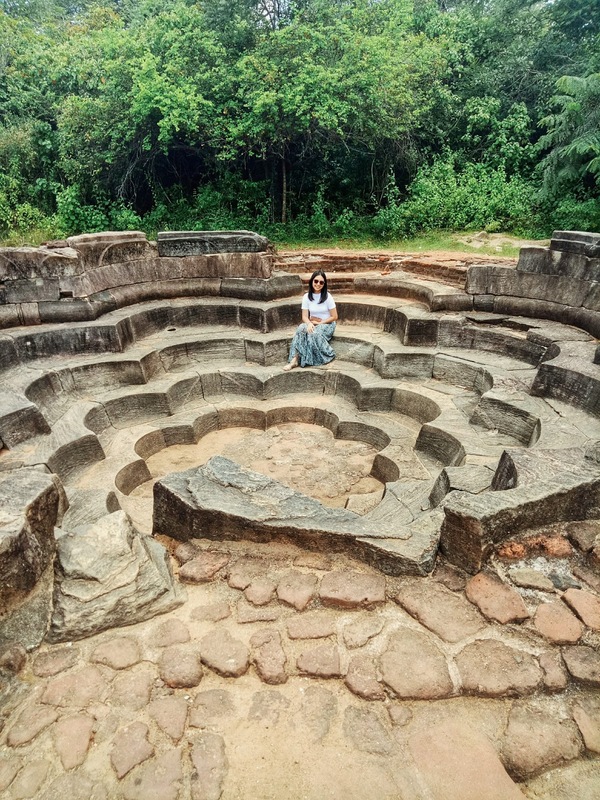 Sigiriya opened my eyes on the beauty of owning culture and art that is not influenced by any western colonizer. 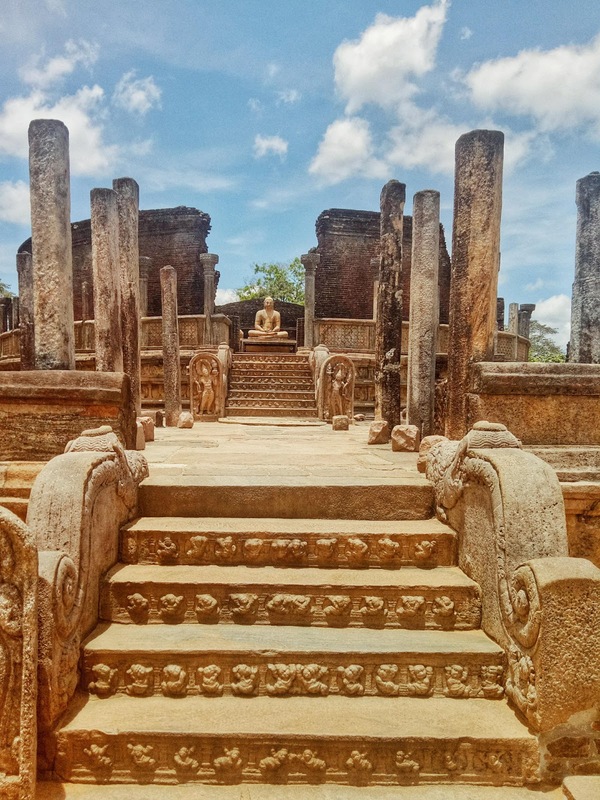 I immediately decided I needed to see the old capitals of Sri Lanka the next day. 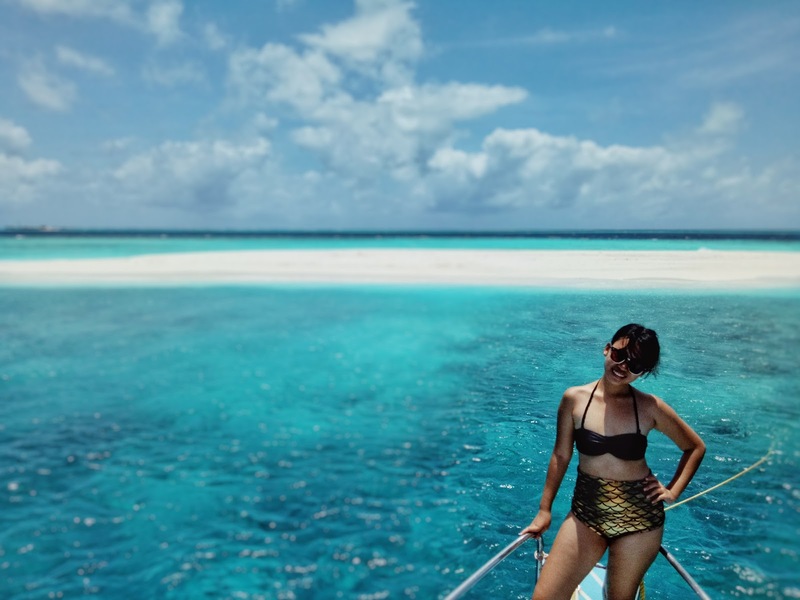 Only a few people dared to visit both cities in just a day because each has so many features you don't want to miss. Also, there's a 2.5-hour drive in between them. 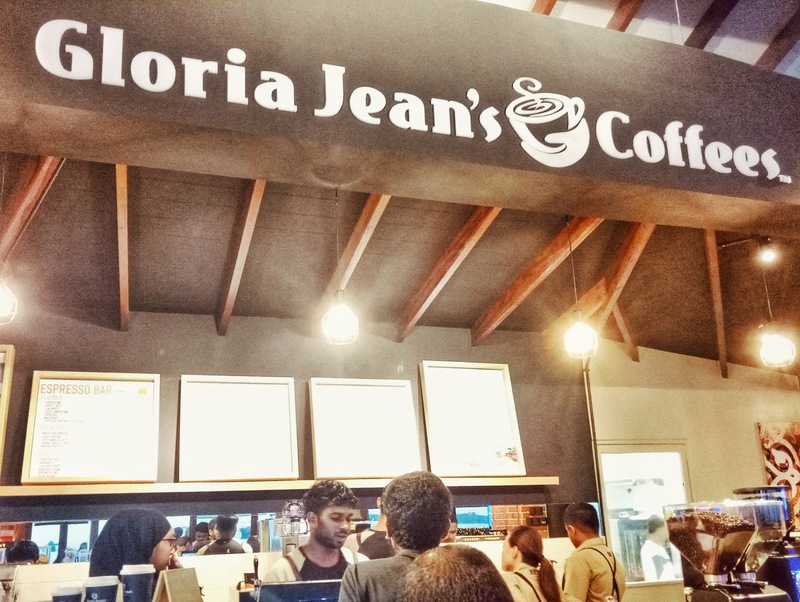 It was necessary to go back to Colombo by nightfall but I really want to cover both cities. I consulted with a friend and he told me it was possible and he was willing to help. Yay! From Dambulla, I was picked up around 7 a.m. to head to Polonnaruwa. 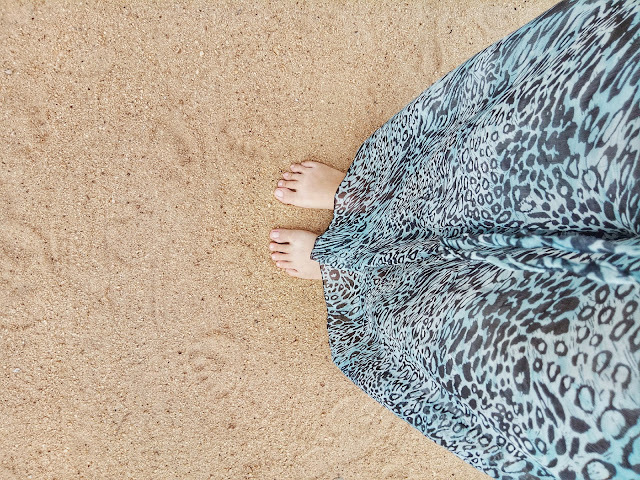 I've heard so much of Polonnaruwa from my former workmate so I decided to go there first. 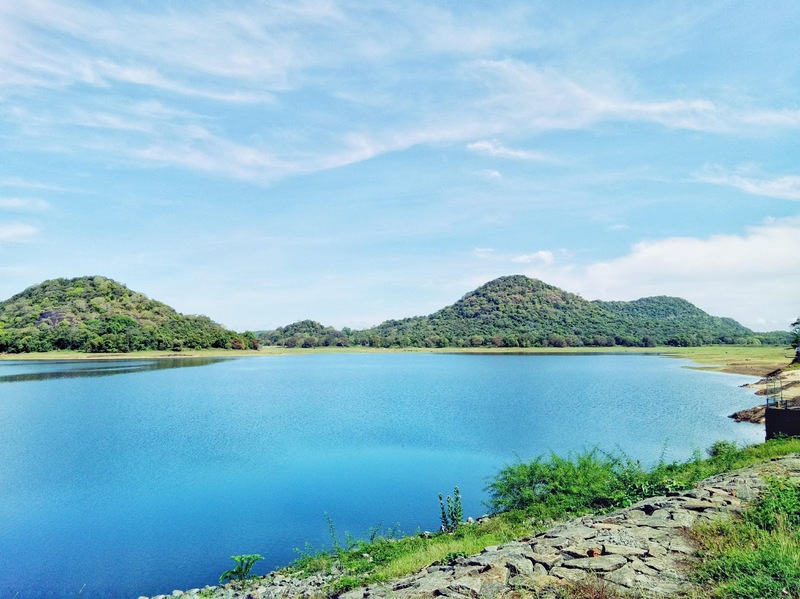 Along the way, we passed by Minneriya and its beautiful man-made dam. Locals said it's home to more than a hundred free elephants. There were also many signs on the road warning drivers to look out for elephants crossing. Unluckily, I didn't see one. Probably, they were hiding under the shade because it was getting so humid already. 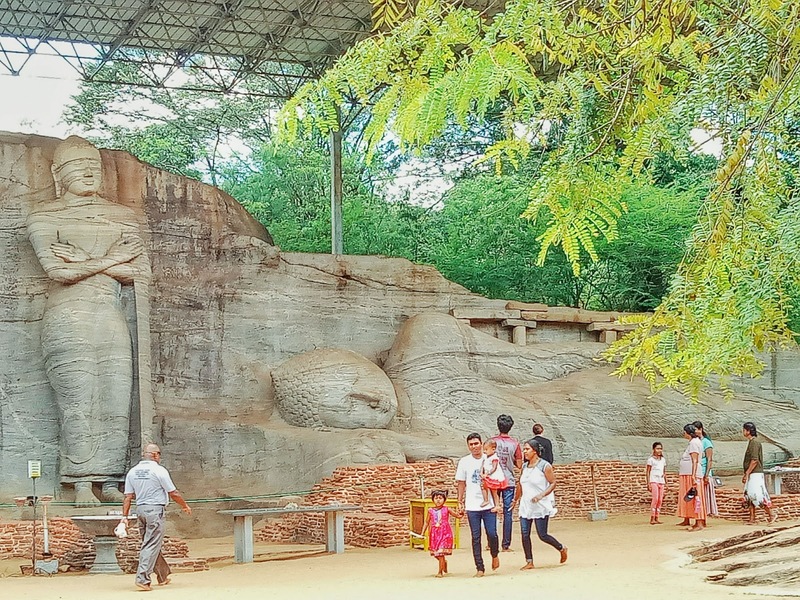 Polonnaruwa was Sri Lanka's second capital after the fall of Anuradhapura. The Chola dynasty from South India picked the place for its advantageous location, but when they were defeated by the Sinhalese kingdom, the latter decided to stay put in Polonnaruwa. King Parakramabahu developed his palace complex to include religious infrastructures and attractions. He was also behind the construction of the Minneriya Reserve. We got our tickets and maps from the museum where you can also hire tour guides and rent bikes. My local friend got the tickets while I was talking to the boy offering us his bikes. When the ticket lady saw what I was doing, she shouted (in Sinhala) at the boy which made him leave, then she said more things to my friend. I looked at him and he explained that the lady got angry because the boy was an independent operator. She also required us to get a guide from the museum. 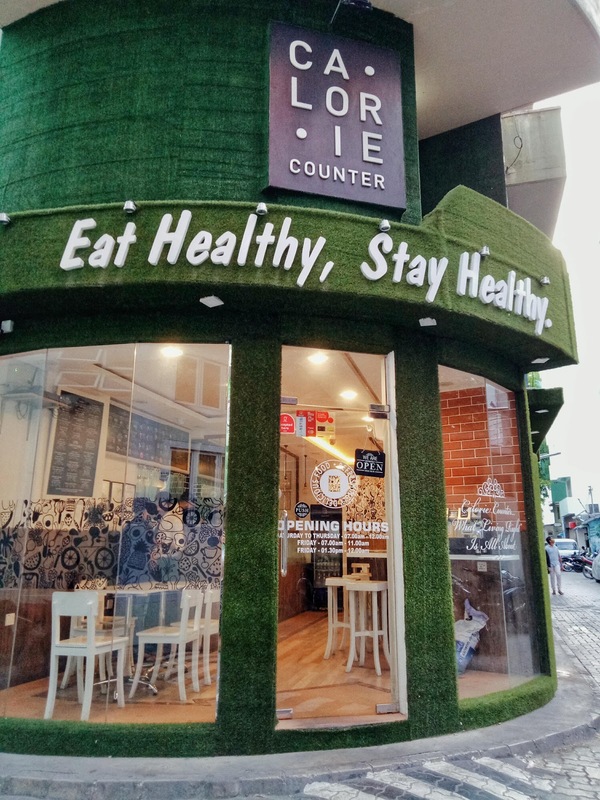 "If you're a foreigner, you can't go inside without a tour guide." 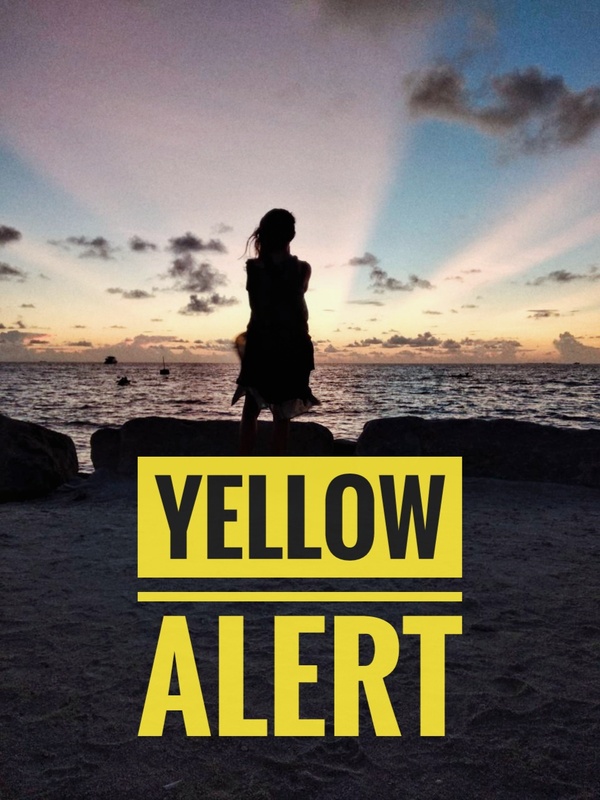 However, I noticed there were many Western foreigners who got their tickets peacefully and didn't opt for a guide so I told my friend that she's just probably ripping us off for a commission. I spoke more with the boy outside and learned that we can actually take the car with us to visit the sites in the complex. As it was nearing 10 a.m., we decided to just use the car for the tour to save ourselves from the heat. Man, it was the best decision that day! 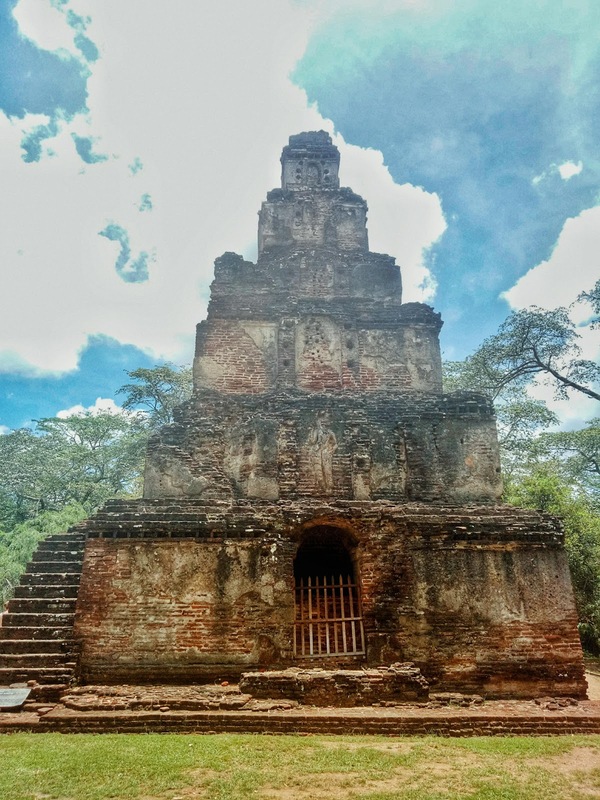 We drove to the first site -- and the highlight of Polonnaruwa -- the ruins of King Parakramabahu's 7-storey palace. It's so high considering only 2 floors are left. The palace was said to have 50 chambers and the third to seventh floor were made of wood. Just a short walking distance from the palace is the Audience Hall which was pretty much preserved. The deck and the stairs lasted through the years, as well as the lion and elephant carvings on the walls. At this point, it was sweltering and I was about to faint so I came back to the car for some AC and re-slapped sunscreen. The next stopover was the Sacred Quadrangle. Several religious buildings are directed here that most of the vibrant Buddhist activities back in the day must have happened in this Quadrangle. The most distinguished structure is the Vatadage. Roshan said there are 4 Buddha statues inside but I needed to remove my shoes if I wanted to get closer and see them all. As much as I want to, my soles can't survive the 11:00 a.m. heat on stone. A friendly reminder: don't take selfies with Buddha or any photo with your back facing the statue. This is considered inappropriate and disrespectful. We decided to skip some features because I was already satisfied by the relics in the Sacred Quadrangle. The Rankot Vihara that we passed by, however, was something I needed to get close to. It was the first dagoba that caught my attention because of its massive size. 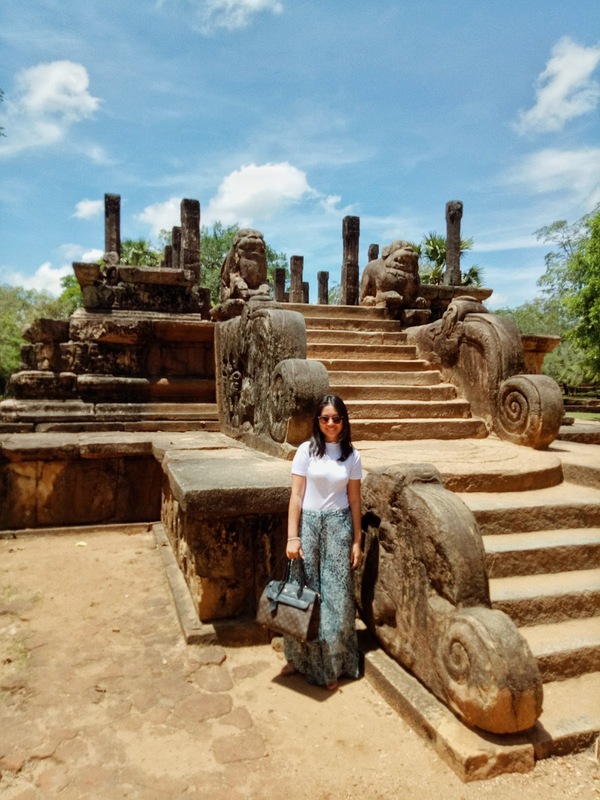 Ancient Sri Lankan engineering and architecture just kept on sweeping me off my feet. Some of Buddha's clothes were said to be kept in Rankot Vihara. 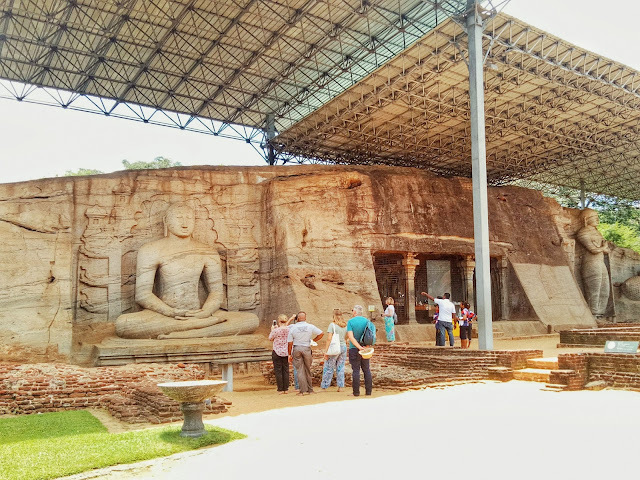 Gal Vihara, our next destination, is something that we really shouldn't miss, according to my local friend. Buddha figures in 3 different poses were carved from one enormous stone slab that is still intact up to this day. I couldn't get any closer because my soles were already scalding but from where I was standing, I can already see how massive the whole carvings are. Buddha in standing and reclining poses. Use the humans for scale to have an idea how big are the carvings. Our last Polonnaruwa stop was a Lotus Pond that tourists don't usually visit, probably because the photo on the map was plain.. True to its name, the dried up pond has a lotus form. If filled with water, it would still be operational because the stones used are in pristine condition. I hope the pond would last another millennia. It was 12:30 when we bid goodbye to Polonnaruwa. Feeling dehydrated from all the sight-seeing at high noon, the sight of a stall selling king coconuts was very fitting. 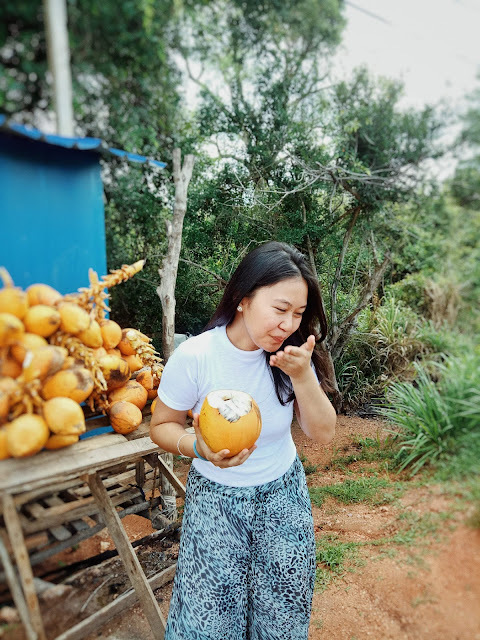 I grew up knowing that green coconuts are the freshest so this was a totally new and delicious experience. 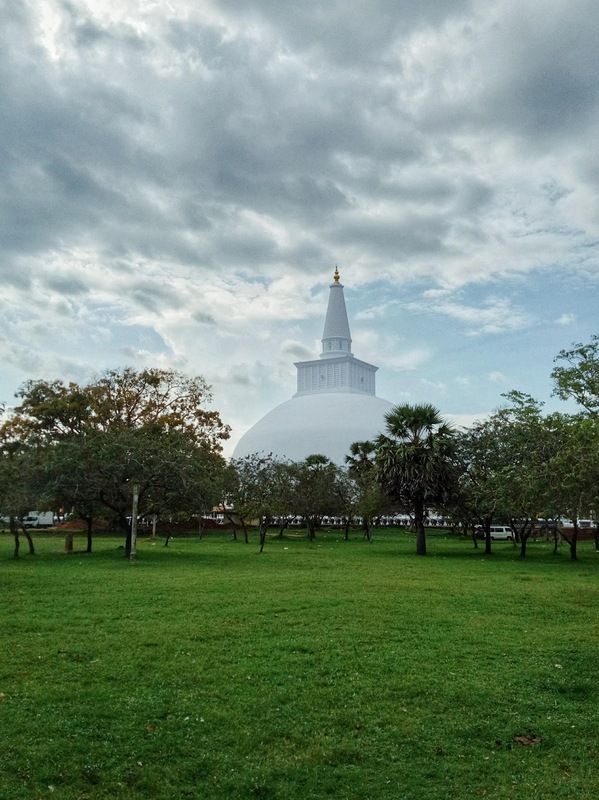 Founded around 5th century B.C., Anuradhapura was Sri Lanka's first capital for both politics and religion. 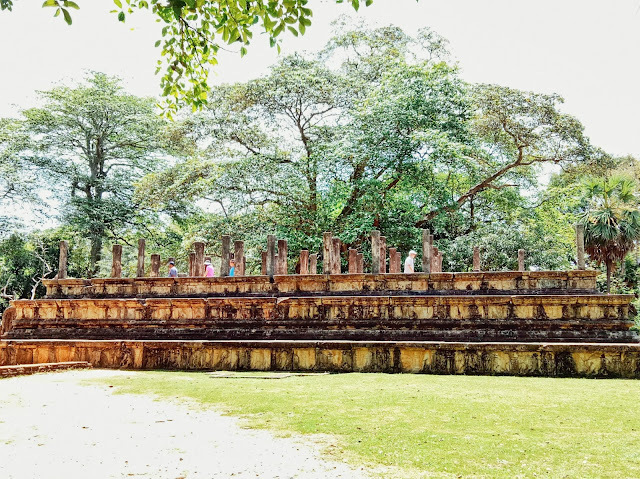 The different complices of palaces and temples were vastly scattered but the routes showed us that all of them are linked to the other in more ways than one. 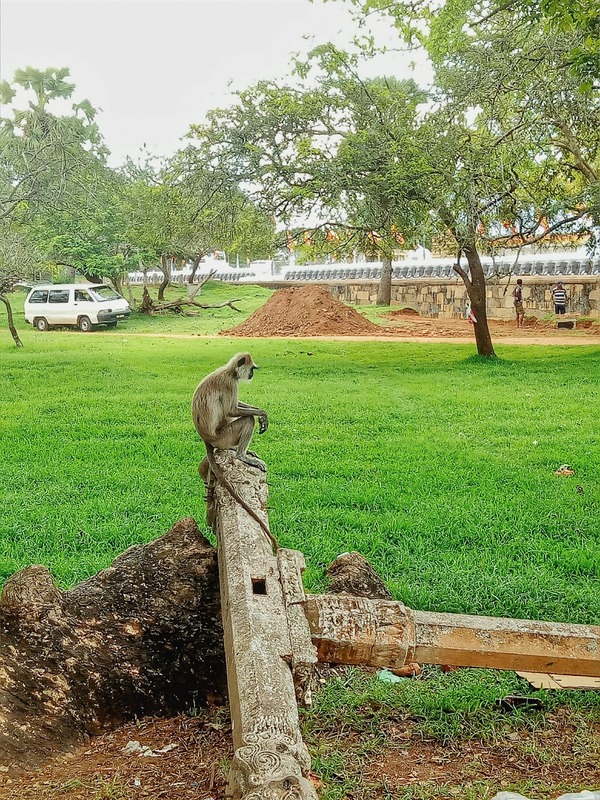 The present-day Anuradhapura was also so quiet; it's like they are trying to preserve the solemnity of history that blankets the city. 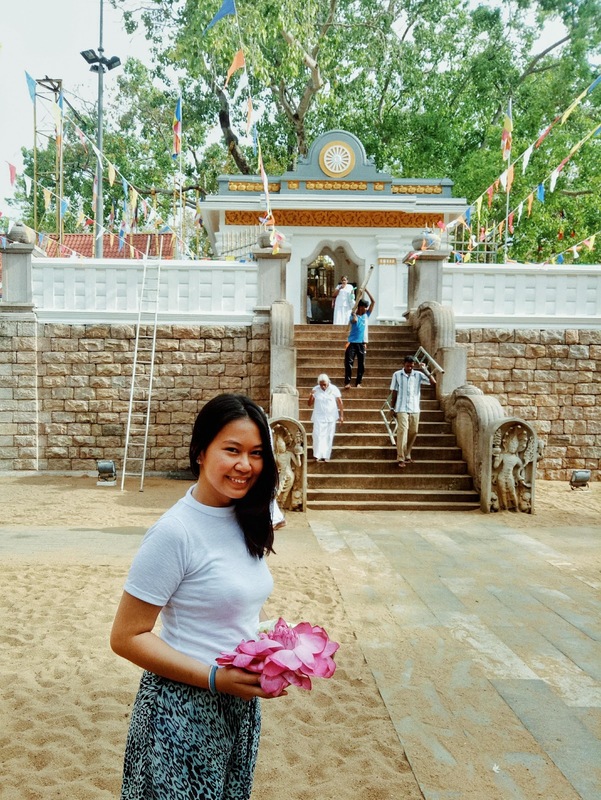 We first visited the Sri Maha Bodhi, the first and oldest surviving bo tree (fig tree) in Sri Lanka. 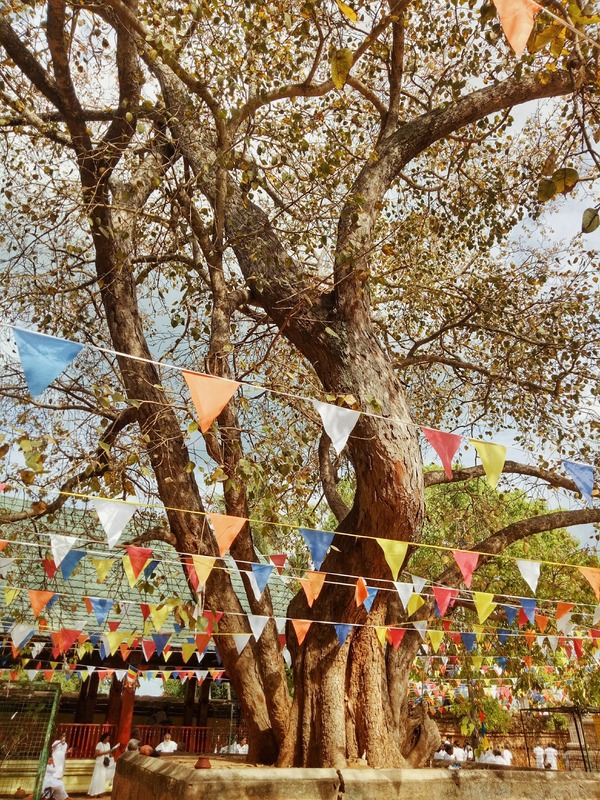 Bo trees are sacred for Buddhists as it was said that Buddha gained enlightenment when meditating beneath this tree. The Sri Maha Bodhi was planted from a cutting of Buddha's original Bo tree in India. Shoulders and legs must be covered and footwear must be removed before we can enter the area. Fortunately, I was wearing a white shirt that day as it was also a requirement. They built a platform surrounding the tree where you can place offerings. It smelt of calming incense around the tree. It was also so cool under it, slightly cooler compared to other trees, which must have been the reason why Buddha chose it. To complete the experience, Roshan got some lilies for me to offer with my intentions. 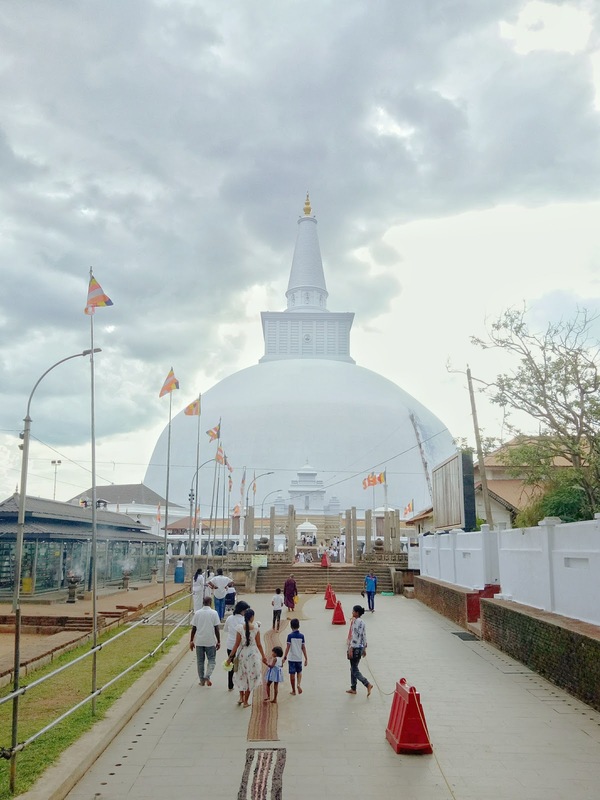 After the refreshing Sri Maha Bodhi experience, we walked to Ruwanwelisaya Dagoba. My sandals were left in the car so we had to walk on hot bricks for a couple hundred meters going there. Fortunately, there were patches of cool grass in most parts so I just walked over there. When free monkeys get closer to me, I would just go back to the brick pathway. My heart felt so light in the presence of the colossal dagoba that stands at 103 meters. Many people were praying, while there were also groups listening to what seemed like a lecture by a monk. Again, the smell of incense wafted over the premises and I just felt peace. We went back through the same way we entered, the Bo tree gate, and drove to our last destination for the day-- the Isurumuniya Temple. 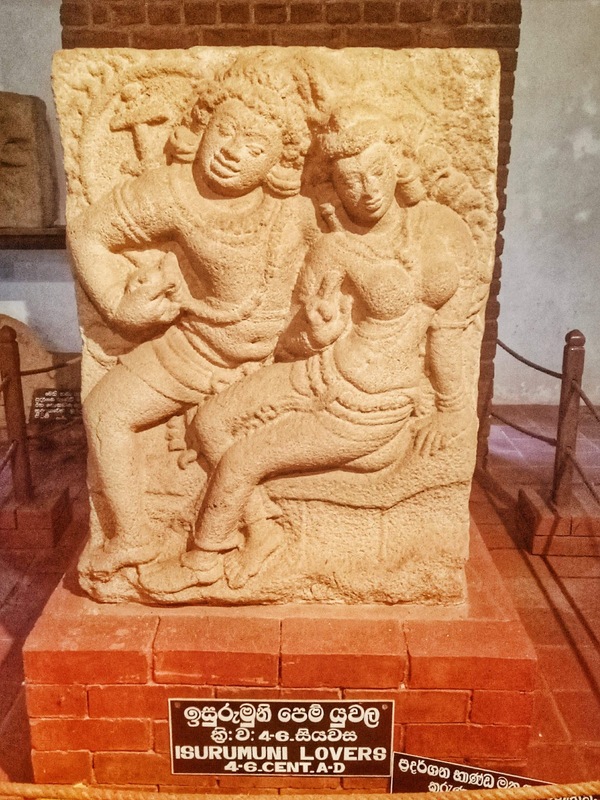 It is home of the Isurumuniya Lovers carving which was said to be inspired by a prince who was banished by his father when he fell in love with a maiden servant. Modern-day couples would come to the temple to ask for the "lovers' blessings". 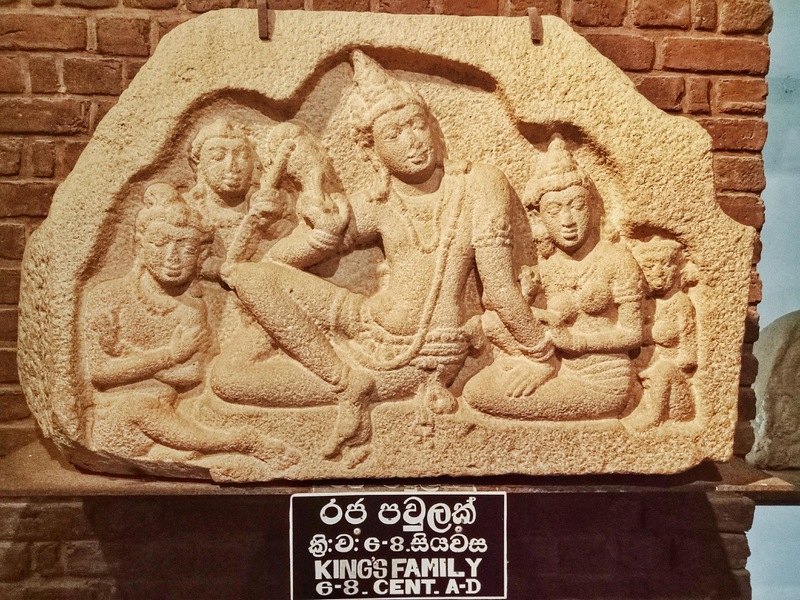 There were also carvings of the king's family; their ancient version of a groufie. You can also find a monk blessing and tying pirith noola on guests. I didn't miss this chance and lined up. Pirith noola is a sacred wool that Buddhists wear to protect themselves from visible and invisible dangers. I had one from a monk in Colombo during my first visit to SL. Oh, I didn't convert to Buddhism but if this offers protection, then I'm game. 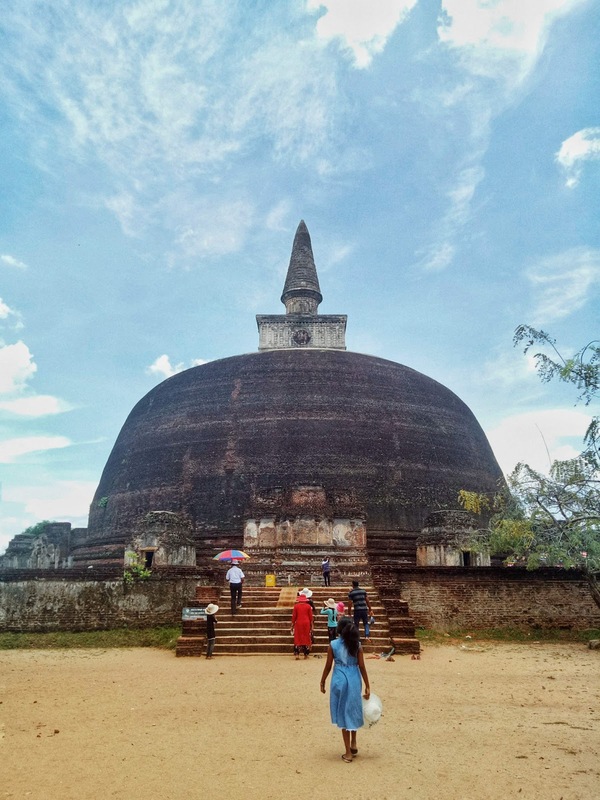 There were several places in both Polonnaruwa and Anuradhapura that I skipped due to time constraints, although I wish I hadn't. Each landmark has a story to tell and I should've spent more time listening. So, if you're planning to visit the ancient cities, it would be best to allot one day for each. 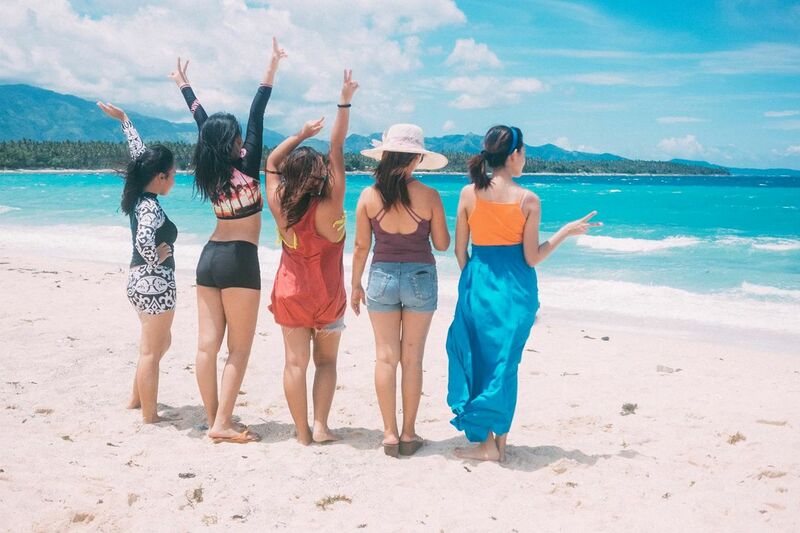 And if you're a Filipino like me, you would wish we were not colonized. Imagine the true Pinoy ingenuity and culture that we could've preserved and showcased to the world. Heading to the ancient cities? Let me know what do you look forward to see!